Firefighters say an electrical wire sparked the fire. 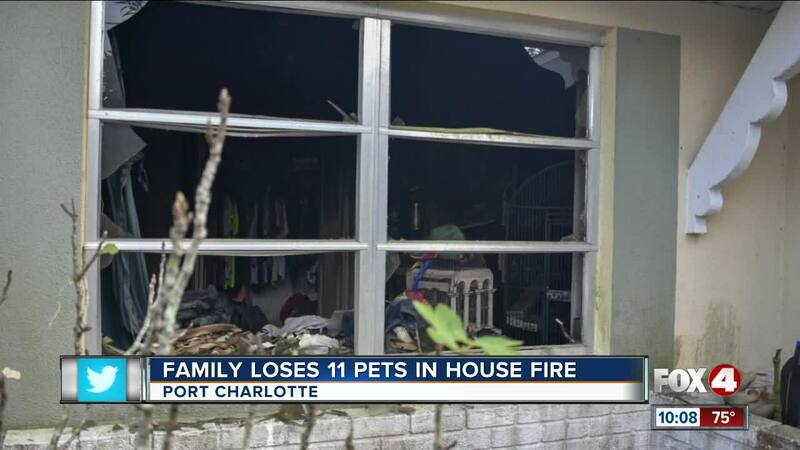 PORT CHARLOTTE, Fla. -- A family is safe in Port Charlotte after a fire severely damaged their home, but sadly they lost their pets. No residents were home when the fire broke out, but their pets were and they didn't survive. According to Charlotte County Fire and EMS, the family lost three dogs, six puppies, a kitten, and a chinchilla.